ReGeneration Schools operates three K-8 public charter schools with a college prep and character building mission. Since taking over school management in 2012, CEO Stacey Shells and the ReGeneration team have spearheaded a dramatic improvement in student achievement. All three campuses currently rank in the Top 10 Illinois schools with similar demographics. Population: Over 1,600 students in grades Pre-K through 8. With fast, affordable and high-quality support from The Graide Network, ReGeneration empowered teachers, fostered data-driven instruction, and accelerated student learning. 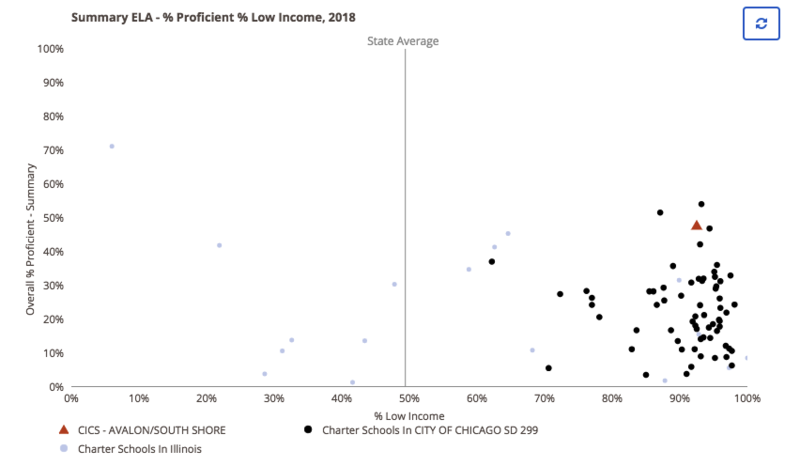 Since taking over management, ReGeneration campuses have moved from the bottom 17% of Illinois schools in 2012 to the top 39% of all schools statewide in 2015 through application of a rigorous college prep and character mission. Currently, all three campuses rank in the top ten of Illinois schools with similar demographics. But, there is still work to be done. For the 2016-17 school year, ReGeneration was looking for new ways to help their student achieve while also combating the pressing and all-too-familiar problem of teacher burnout and climbing attrition rates. Teacher turnover, rehiring, and retraining costs U.S. schools over $7 billion a year. According to a policy brief prepared for The National Commission on Teaching and America’s Future, the consequences of high teacher turnover are particularly dire for low-performing, high poverty schools, which struggle to close the student achievement gap because they never close the teaching quality gap and are constantly rebuilding their staff. An inordinate amount of time and capital is consumed by the constant process of hiring and replacing beginning teachers, which is both financially and academically costly. ReGeneration administers a series of math and ELA interim assessments throughout the school year. Interim assessments are a powerful tool, helping teachers and administrators better understand, track, and evaluate student performance and growth. In past years, however, many ReGeneration teachers - already overburdened and under resourced - were unable to grade the assessments and they ultimately sat collecting dust. Or worse, teachers sacrificed an entire professional development day grading exams but had no time for the analysis and action planning that drive student achievement, rendering the scores meaningless. It was a blow to teacher sustainability. Plus, when students learn there is no consequence to their performance, performance suffers and the importance of the assessment is diminished. 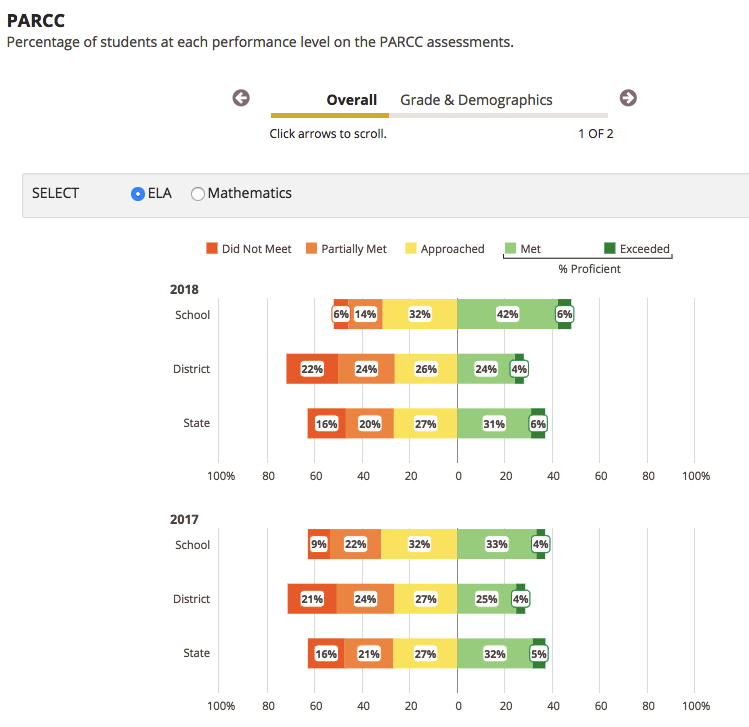 "Our interim assessments are one of our most accurate tools for measuring student progress. Each question is aligned to common core standards, and evaluated to match or exceed the rigor of our hardest summative exams. As such, their results give us a breakdown of the specific skills our students must improve upon to be college ready. We value the Open Ended Response Questions in particular, as they not only correspond to necessary state and national standards, but also allow students to demonstrate their grasp of higher order thinking, and their ability to support a conclusion with evidence." “When I first learned about data driven instruction, we focused heavily on analyzing students' multiple choice questions, as the tests that were gatekeepers to college (state end of course exams, the SAT, and the ACT) were primarily multiple choice. We'd conduct a stack analysis of open responses, but we didn't analyze each and every student response. And those gatekeeper tests were telling many of us that we were closing the achievement gaps for our students. Since 2016-17, The Graide Network has been responsible for scoring up to 3 rounds of interim assessments each school year in both math and ELA for all 1,600+ students in grades K-8. That’s over 3,200 assessments each round. Within each assessment, students complete a number of short response and extended response question types. Two weeks before the assessments, ReGeneration provides all testing materials including rubrics, prompts, and assessment booklets across grade levels. The Graide Network is responsible for implementing robust norming exercises across Graiders at each grade level to ensure that scoring data is normed, accurate, and reliable. The Graide Network delivers a sub one-week turnaround on all work, including make-up exams. Scoring reports are delievered to ReGeneration two days before a network-wide PD day, so the instructional leadership team has time to upload and analyze data in their School Information System and use it to enhance teacher training and supports. When interim assessments are complete, all of the schools begin a response process, focused on altering and improving instruction. ReGeneration teachers and administrators from across the three campuses come together for a full-day of professional development and assessment review. Curriculum instructors and principals lead PDs on data-driven instruction and data-based decision making, and teachers are able to form teams by subject and grade level and dive into the exams and scoring reports. There is ample time for teachers to both individually and collaboratively analyze student performance, discuss key challenges and performance trends, and build next-step action plans. For weeks following the assessments and PD's, teachers spend time in prep periods and after school to create small groups, reteach sessions, and spiral lessons based on individual, concise standards and the greatest areas of student need. Teachers report feeling productive and engaged in the process and better prepared to in their go-forward planning. For school and network administrators, the data allows them to make more informed decisions around curriculum, instruction, budget, and key initiatives. And the hard work is paying off! 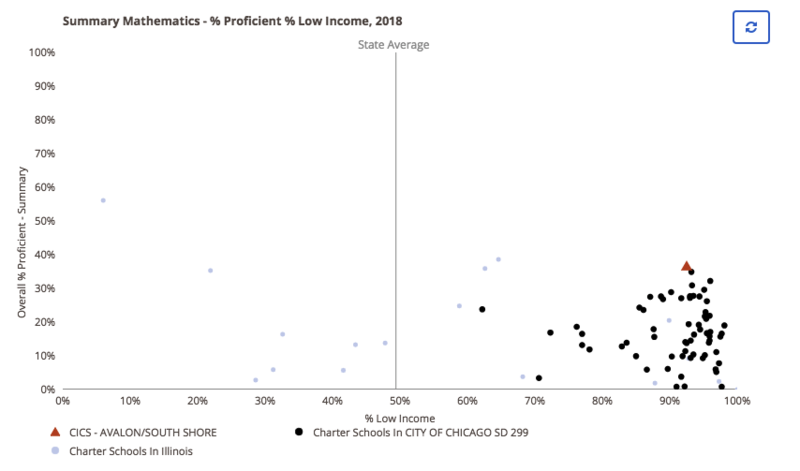 Since 2016, ReGeneration has continued to outperform peers across the district and state in reading and math scores.